An international scientific initiative under the auspices of the European Union's Horizon 2020, project SYMBIOSIS is developing an autonomous system to identify schools of fish, including information about their size and movements in deep waters. The University of Haifa is leading the project, while two teams from IMDEA Networks Institute in Madrid are contributing to the development effort. The SYMBIOSIS system integrates acoustic and optical technologies that require no human intervention, and will be able to transmit real-time warnings to coastal stations. These data will contribute to the formulation of ocean fishing policies and to enhanced protection of the marine environment. The development of fishing technology since the twentieth century has resulted in the growing realization that fishing is one of the most serious problems facing marine ecosystems. According to some estimates, if over-fishing is not brought under control, the world's fish stocks may collapse by 2048. Global fishing authorities are hoping to curb over-fishing with new regulations and enforcement based on fish stocks. But, there are very few methods presently available for real-time monitoring of those stocks. Most involve surface boats attempting to locate schools of fish using sonars. According to Dr. Diamant, these methods require considerable resources and personnel to monitor and interpret the sonar findings. Consequently, they have limited viability in cost-benefit terms. Also, the use of sonar usually limits the search for fish stocks to narrow areas (those beneath the ship doing the sampling), impairing any subsequent decision-making. 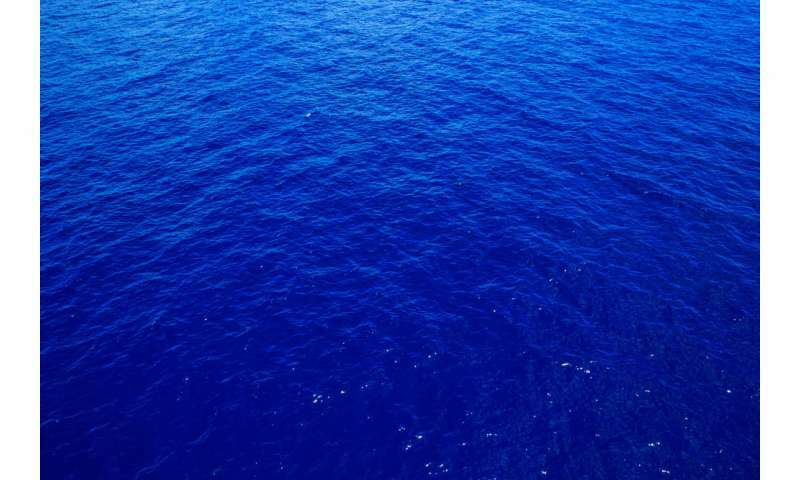 The limited statistics provided by this random and short-term sampling of the marine environment mean the process is prone to numerous sampling errors. 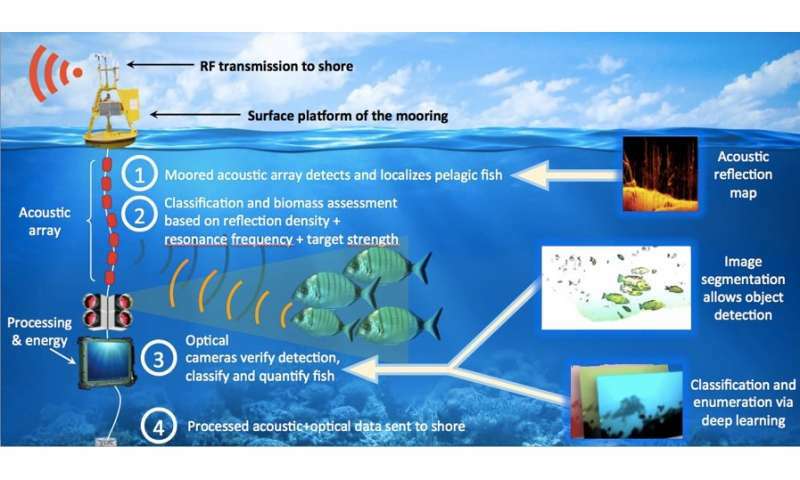 Combining optical and acoustic technologies, the SYMBIOSIS system will monitor the marine environment, and in particular the size of the fish stock, within a radius of one kilometer. It works on an entirely autonomous basis, collecting underwater data over long periods and transmitting this information to a coastal center. The research is focusing on the identification of six large fish species that are in especially high demand from the fishing industry: two species of tuna; scad (a species of mackerel; Trachurus mediterraneus); Atlantic mackerel (Scomber scombrus); mahi-mahi (Coryphaena hippurus); and swordfish (Xiphias gladius). This will provide authorities with concrete and actionable information. "The optical classification of fish species has its own particular challenges, too. There are very few pre-classified images available with which to train the deep-learning classifier. And many of the images that are available were taken under very different visibility conditions to those the system will encounter. In SYMBIOSIS, we are dealing with this uncertainty by leveraging public databases of fish pictures, many of them provided by scuba divers and underwater photographers. To address the lack of a large image dataset, we are starting with pre-trained neural networks for object recognition, and we'll add more images from SYMBIOSIS test environments once we enter the experimental phase of the project," concludes Dr. Fernández Anta.